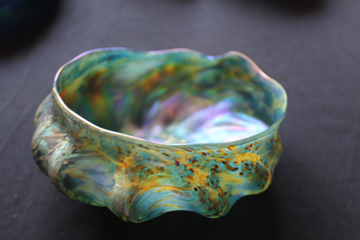 Come help us make Stafford Art Glass sustainable into the new year! With the popularity of our BYOB event this past Christmas, it’s decided that we will continue to offer another event so those who were too busy or did not notice in time, can take part. 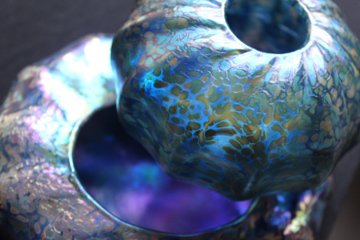 Join us for a weekend of hot glass at the studio in Newport. 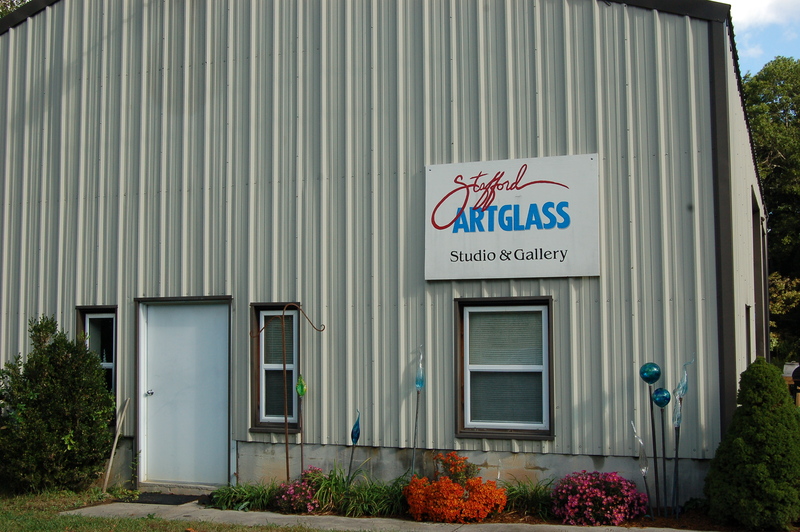 Located just ten minutes from Blacksburg on Route 460W, the studio is a gallery and hotshop all in one. 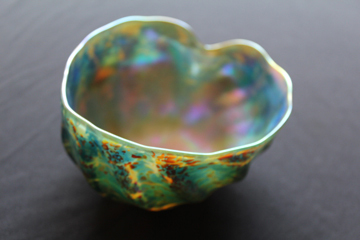 It is also a place to learn how to make beautiful objects in glass. At this event you have the opportunity to sign up for thirty-minute slots to make either a suncatcher or paperweight; a suncatcher takes half an hour, a paperweight takes about an hour. Double up your thirty minute slots, back to back, so you can make a paperweight during this event! Event runs January 11-12 10:00 a.m. – 8 p.m. each day. Sign up for blowing slots by “liking” us on Facebook and messaging us what times work for you and what you plan on making. seconds are priced as they are and its simple. Our seconds never have ANY structural flaws. No chips or cracks, only slight cosmetic flaws that keeps us from selling them as firsts. Most people do not even recognize these “flaws” as flaws at all! For example, pieces may be a slightly different size, or the design in the center might be slightly off-center, or the galaxy might not be perfectly symmetrical. I know it’s a small thing, but our work has to be perfect, gallery ready, and our galleries want consistency as one smaller piece in a grouping might not sell as readily. So we keep them and sell them at our studio! This is an excellent opportunity to buy great work at unbelievable prices. Perfume bottles for a song, all original made in our studio quality work! 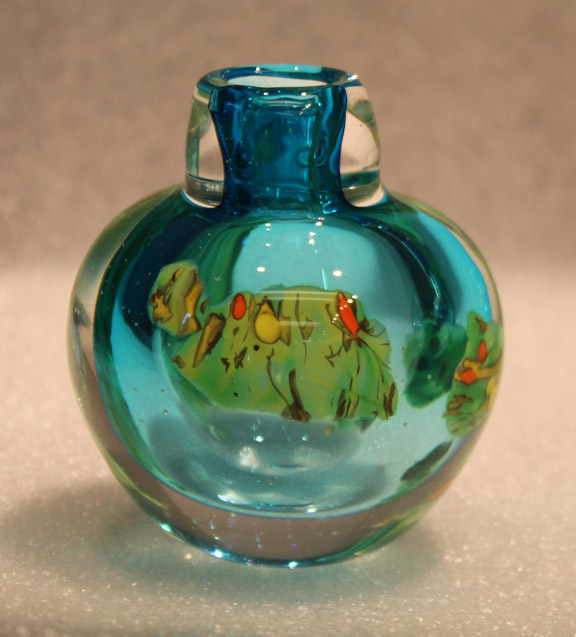 Bowls, vases, paperweights, ornaments, suncatchers, and yard ornaments, pendant jewelry; it all goes for half off! If you want to sign up to make something during the weekend, slots are reserved on a first come first served basis. At this price, slots go very quickly and availability to limited! open toed shoes, and jeans are best. Everyone has a different comfort and skill level and we adapt to your needs as a student. We work as a team one-on-one to realize your glassy creations! Work made must anneal in our kilns overnight for ornaments and 24 hours for paperweights. To keep things simple for us, we ask that you either respond to this post or respond on facebook and message us there so we can keep our scheduling quick and easy for all involved! Thanks for your understanding! Over the last few weeks I have been busily working developing a new line of work. This work employs a process made popular by Louise Comfort Tiffany in the 1800’s called fuming or irridizing. 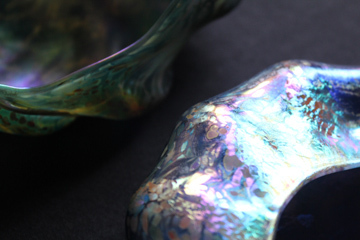 This process became a signature of the Tiffany style and has been repeated many times over because of its intense popularity. I have always said that I would not fume my work, and quite recently I went back on that promise in order to investigate this method to see if I could create new interesting forms that break some new ground. Doing that is not easy to do. There is a lot that has been done…millions of processes and combinations….Some would say there is nothing new under the sun. Perhaps it is true….until we actually come up with something new. To that end, I am giving it my all. sculptural sense to my work and giving the forms a different kind of quality that sometimes departs from traditional vessel forms. 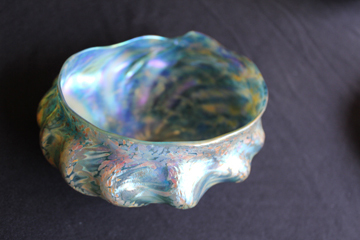 The forms I came up with were an effort to create seashell like forms with the abalone shell being one of the chief forms for inspiration. 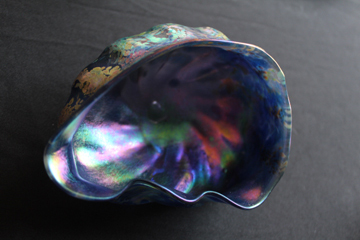 I grew up on the beach as a child and can remember many small oblong and rippled shells that had beautiful mother of pearl interiors. I am in truth recreating that moment of discovery on the beach some 45 years later with this body of work. 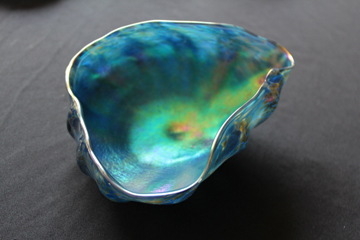 What I am doing are making relatively small-scale pieces that I can control and work into shell inspired forms. 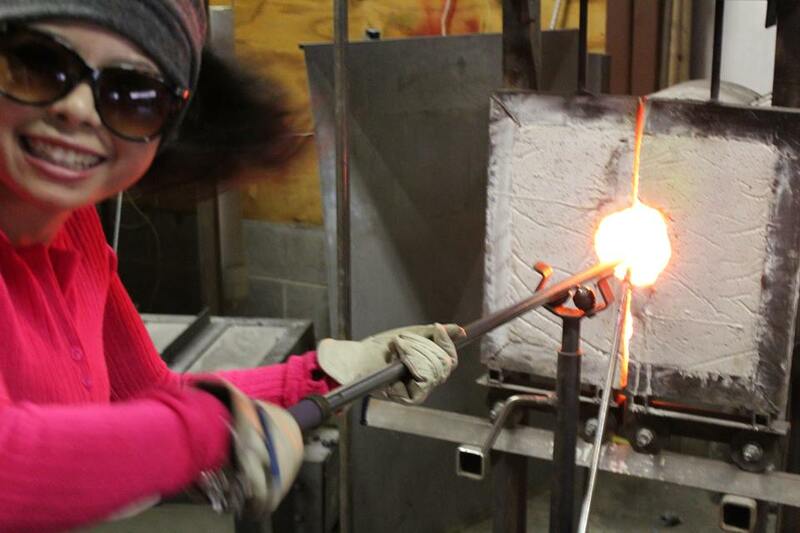 A lot of this has to do with making the pieces off-center and breaking a lot of the rules that make blowing glass feel comfortable and “right.” So much of what we learn about glass blowing has to do with keeping a piece centered. So much of what I am doing now is knowing how to let a piece drift of center in just the right way in order to develop a sense of asymmetry amidst the natural order that is symmetry. The work is in its infancy and yet I have enough ideas and directions to keep me busy for a lifetime. Lucky for me, I am impatient and like to try new things and make new work so I guess I am making work for someone else to do in another couple of lifetimes! I hope you enjoy looking at the pieces. They change so much in light, as some versions of the same piece in this post reveal. All of this is fun and exciting and there is so much more to do, to make and to explore and discover. This really is the most interesting part of design work because everything is so new and the possibilities are endless. The key to creative viability I think is remaining fresh and new. As old lines of work are being retired in my studio work, new lines, like this one with a decidedly oceanic bent to them emerge. The tide comes in, the tide goes out. In the interim it leaves new treasures for us to see and explore….seashells and all manner of flotsam and jetsam to pick through…. If you like this work you can see more of the earliest work that was first done a few weeks ago in the post Breaking New Ground. You can also see and interact on my facebook business page by typing in staffordartglass.